This lovely restaurant used A4 sheets to print out their menus each day, so as part of our rebrand we designed and printed single sided menu sheets carrying their new artwork. For the menu itself we created a template which could be altered as required. Their bill holders have a strong flat colour inside. 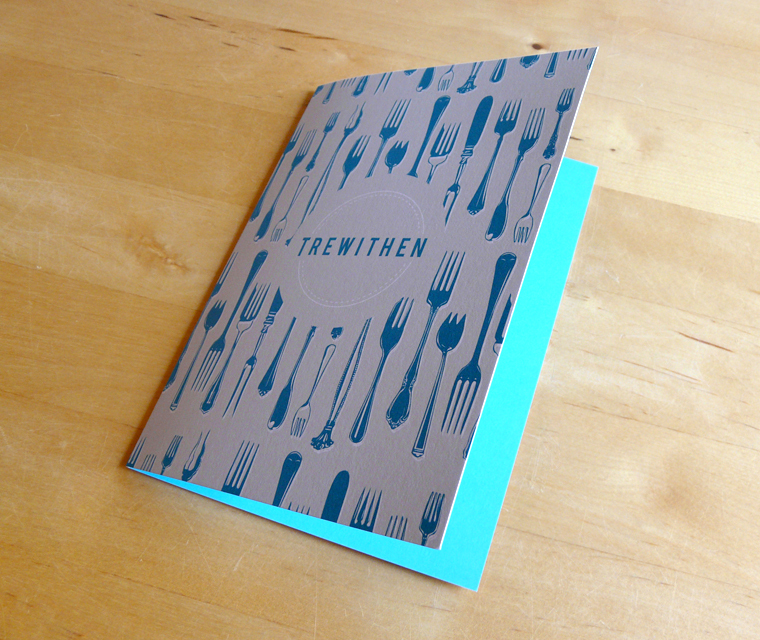 The bill holders we designed for Trewithen Restaurant are four page A6, printed on 300gsm stock. 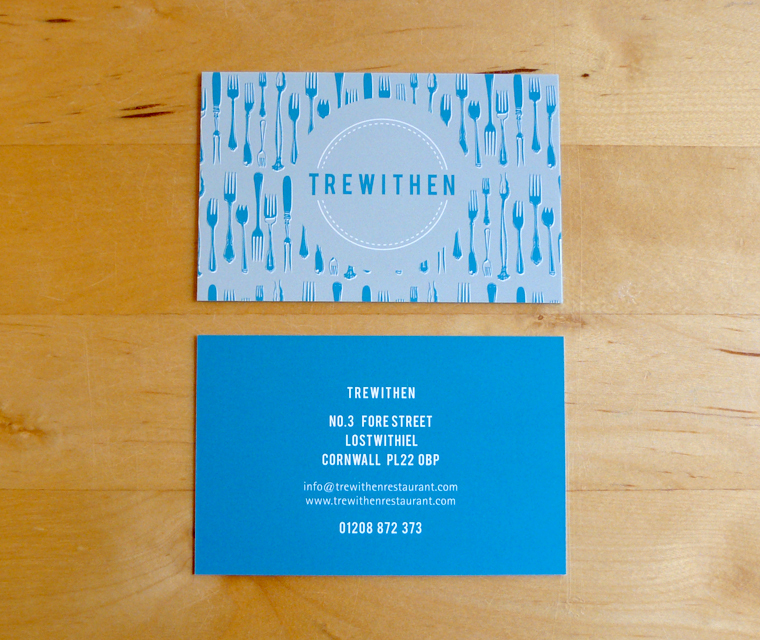 As part of the rebrand for Trewithen Restaurant we illustrated a selection of forks which were applied across their printed material. 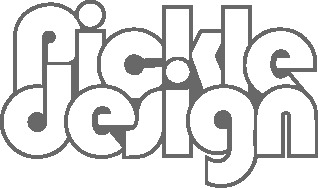 The business card design made full use of their bold colours.